The Philippines is an important part of South-East Asia and its capital, Manila is growing rapidly. The city is quite populated and holds the title of the most populated city in the world. This quality has created a lot of problems but they have also created a rich culture for themselves. Along with the modernity, there is a historical part of the city that tells us its Spanish origins. The city is just by the Manila Bay and the Pasing river flows through the city. It does have gone through drastic changes in the past and now the city has stabilized even after their rift on pollution and poverty. Manila is connected to the rest of the world through the Ninoy Aquino International Airport. You can get Dubai to Manila flights, Delhi to Manila flights, Qatar to Manila flights and much more. Bookings can be easily done through online websites. Binondo: If you love food and want to visit the oldest Chinatown in the world, then you have to visit Binondo. There are several fast food centers that provide you with the original experience. You can also visit Divisoria if you are good at bargaining and want to get your hands on some wholesale stuff. The Chinatown is in Old Manila so you wouldn’t have much trouble finding it. But do remember that it does get crowded. Intramuros:This is the “walled city” and it forms the history of actual Manila. You can see the Spanish architecture and it is an amazing place to know about the history of the city. The place does provide a guided tour for people who are interested in it. Another fun way to explore the place is by a Bambike, which is a bicycle made from bamboo. 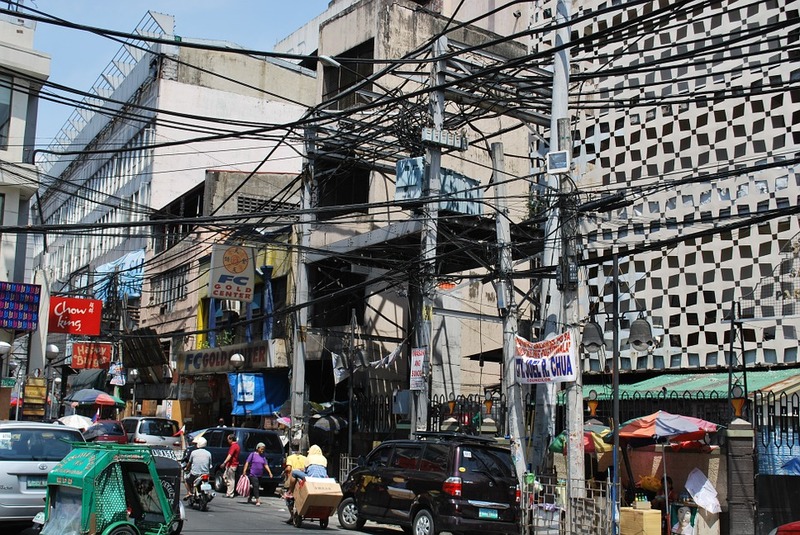 Poblacion, Makati:The hub of culture is often seen in the places of socialization. Poblacion is the old downtown area which is a major business district of the city. You will get several dining and entertainment based places around this area. The best thing is that most of these places have an outside area so you can actually be a part of the jostling city. Mall of Asia:If you want to experience the modern side of the city then you have to visit MoA. It is regarded as one of the biggest malls present in the whole of Asia. It is situated by the Manila Bay so you can actually enjoy that view while having a drink at a comfortable bar. You will get different brands and amenities in this mall and it actually speaks a lot about the emerging culture of the Philippines. Manila is a great city even after the humongous population and the traffic jams. We should always look forward to its rich culture and hospitality when we are paying them a visit. Tagged Asia, destinations, Manila, Philippines, travel, vacation.